Our next turnaround is in the style of BB King. This style of turnaround has much more of a lead style approach, and is played using the Bb minor blues scale. 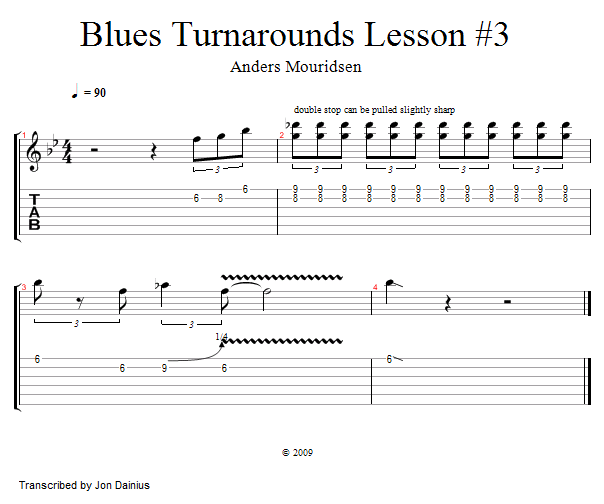 Using mostly upstrokes, this turnaround can also be used an introduction to your blues jams. We are going to first try playing this slowly with a backing track. If you need to hear it repeated, use the AB looping tool below the video screen. 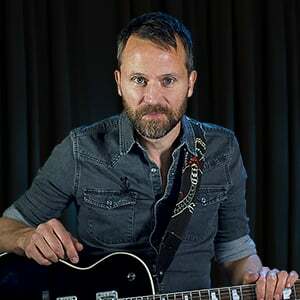 Once you have it up to speed, try playing it with the backing track again this time utilizing the whole 12 Bar Blues form. Let's check it out.